In the last weeks three different papers came out, all related to bird migration. You can find titles here following. The first shows the results of a radar research analysing the effect of fog on the intensity of bird migration and it was written in close collaboration with the Flight Animal Group of the University of Haifa and it is published on International Journal of Biometeorology. On the other hand, we started to collect data for the paper published on Ornithological Science years ago in the framework of a fieldwork promoted by LIPU-BirdLife Italy. 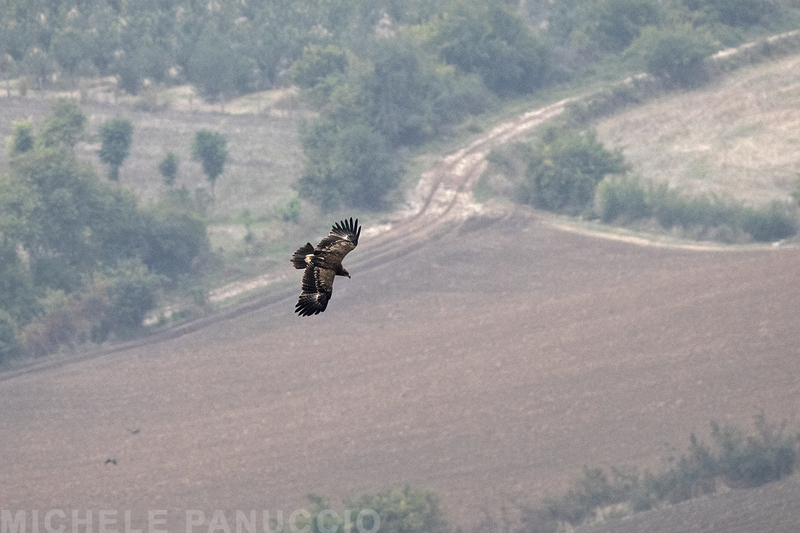 In this paper it is analysed the variation of the flight altitude of honey buzzards facing the open sea during spring migration. The last paper is a letter on Journal of Raptor Research communicating the amazing observation results of a short survey in Northern Iran where there is an almost unknown migratory bottlenecks of great relevance. Panuccio M., Dell'Omo G., Bogliani G., Catoni C., Sapir N. 2019. Migrating birds avoid flying through fog and low clouds. International Journal of Biometeorology https://doi.org/10.1007/s00484-018-01656-z. Panuccio M., Gustin M., Lucia G., Bogliani G., Agostini N. 2019. Flight altitude of migrating European Honey Buzzards facing the open sea. Ornithological Science 18: 49-57. Our new website is online! Check it now! You will find lot of informations and pics.